This lesson looks at the history of the Battlebridge Basin and its surroundings over the past 200 years. It traces the changes patterns of land use in the area, from the time when Battlebridge was a village in open countryside, through the construction of the canal and period of rapid urbanisation to the regeneration of the 21st century. To understand the reasons that the Regent's Canal was built, and the function of Battlebridge Basin as a place of transhipment and storage. To understand the function of the warehouses along the wharves. To explore the complete changes of land use in the area over the past 300 years. Most children will be able to name some of the cargoes carried, explain how they were used, and explain what the function of the Basin was. Some children will understand the changing nature of land use in the area over the past 300 years. 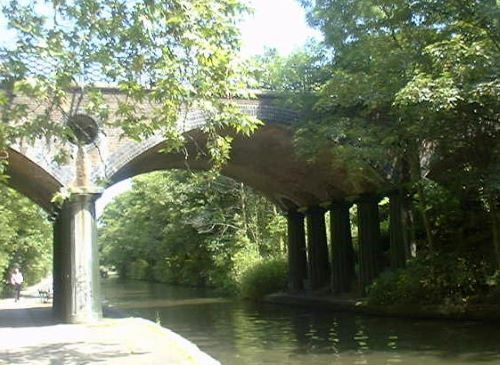 This lesson examines the past history of freight transport on the British canal system, and asks whether it is possible for freight carrying to be redeveloped in the 21st century. To understand that the British canal system was originally constructed for carrying freight and not for leisure craft. To understand the reasons why freight carrying declined in the 19th and 20th centuries. To examine the reasons why canal transport may represent a positive option for the carrying of certain types of freight in the 21st century. All children will learn that canal transport is a relatively green mode of transport with a low carbon footprint. Most children will understand that canals may be used again in the future to carry commercial freight as part of a sustainable British transport network. Some children will understand the complex economic and political factors that will affect the return of commercial freight carrying. This lesson looks at the events surrounding a serious explosion that took place beneath the Macclesfield Bridge (illustrated) on the Regent's Canal in London on the 2nd of October 1874. It examines what the explosion can tell us about industrial safety standards in the 19th century, and how the events were reported in the newspapers of the day. It gives an opportunity to question primary source material, and write a newspaper style report. To explore the value of newspapers and magazines as valuable historical sources. To practice skimming text for information. To practice writing a piece of factual reporting. All children will learn that an accident took place on the Regent's Canal in 1874. Most children will understand the value of newspapers and magazines as primary historical sources, be able to skim text for information, and write a simple report on what happened. Some children will understand the difficulties posed by using newspapers as source material.